Striking and deversity pattern, Abstract Style. Hand-painted, handcraft and Modern Art. 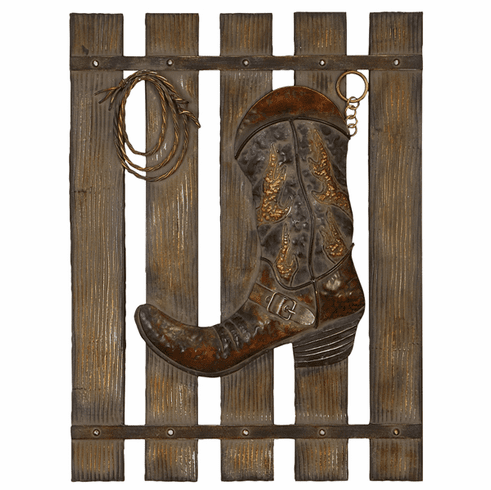 Step into the Wild Wild West with this beautiful hand crafted sculpture. Have dreams of being a cowboy or cowgirl? Then this magnificent piece is for you. The back is made of wood and the boot and lasso are both made of metal. This unique piece of art will captivate your guests, and you can place anywhere to illuminate the room. Complete the set with the rifle and hat.